The agency has developed a comprehensive menu of services that can be tailored to suit the needs of our clients. Our primary concern is to ensure that we add significant value to our clients by offering turnkey solutions that meet both their immediate and future needs. We therefore seek to build long-term partnerships so that our clients are able to realise full value for their money. We will assist you in selecting an appropriate voting methodology that ensures cost-effective, legal and constitutional compliance. We have the capacity to design and deliver multimedia and multilingual communications through the use of the internet, text messaging and email delivery methods. We will manage the selection process, making use of the most effective screening solutions available. We offer e-voting technologies that meet our clients’ individual needs. 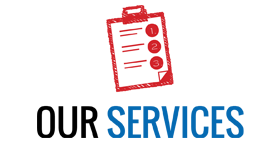 We provide a complete voter accreditation and verification solution. Through our network of specialist training organisations, we will help equip new incumbents with the basic skills to carry out the responsibilities of their office. We offer in-house design solutions for nomination forms, ballot papers and all other relevant collateral associated with the election process. By designing unique and hybrid electoral models, we will ensure that your electoral methodology/system supports your organisational principles and objectives. We provide accurate and timely results delivery through the use of electronic based vote counting. We will ensure that the institutional framework, underlying systems, and procedural frameworks of your elections support the practice of good governance. Background checks and verification of the following: ID Verifications & Validations, Credit Bureau Checks, Directorship Checks, Fraud Listing Checks, Workplace References, Educational Verification – Local & International, Criminal Checks.